I’ll be looking into the careers of some of the girls that started out as big band singer, sometimes called “canaries”. From the beginning all that was required of them was to sing the chorus of some current, popular hit and stand still & be cute the rest of the time. There were dozens of singers like that (male ones too, called “crooners”), but some of them managed to escape their confinements and went on further, using their own name and being appreciated for their own talent. A lot of canaries started out in some band in the 1930’s and then had long and varied careers on their own. My first chosen girl singer to be profiled is Helen Ward. 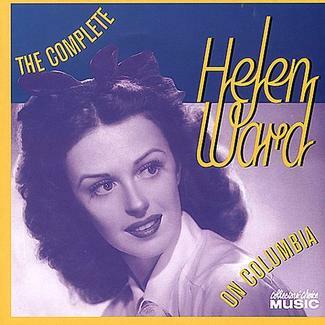 Helen WARD (September 19, 1913 – April 21, 1998) was one of the earliest band singers, and she worked with a lot of different bands. Her sweet and easily swinging style could be adapted to any band format, and it seems a lot of band leaders shared that opinion as she was hardly out of work from 1934 on. 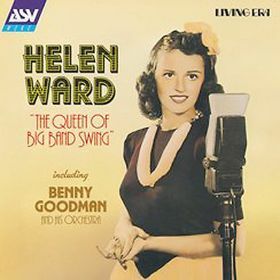 Will Friedwald writes in his book “Jazz Singing”: “Helen Ward became the model for virtually all mid-thirties canaries; her exuberant, toe-tapping approach affecting not only her successors and counterparts in other bands, but even those who had come before her, like Duke Ellington’s Ivie Anderson.” Helen did uptempo novelty tunes and emotional ballads equally well, and seemed to embrace the style of whatever band hired her. She had started singing on radio, and in 1934 she made her very first record “This little piggy went to market” with Ed Lloyd & His Orchestra. She was featured on record several more times during 1934, with the bands of Art Kahn. Enric Madriguera and Harry Rosenthal. The stand-out track with Madriguera surely must be “The Spanish in my eyes”, and her version of “You’re the top” made with Harry Rosenthal is one of the first recordings of this Cole Porter tune. In late November 1934, she was hired by Benny Goodman and their first record “I’m a hundred percent for you” turned out to be a big hit and is considered the breakthrough disc for both of them. Her first period with Benny Goodman lasted through 1937, and some notable songs they made together are: “Blue moon”, “Night wind” and “You turned the tables on me”. During the same period she also “moonlighted” with two other bands, and due to contractual matters could not use her own name. With Teddy Wilsons band, she filled in for an absent Bille Holiday. Using the name “Vera Lane”, she recorded “You came to my rescue” and “Here’s love in your eye” with Wilson in August 1936. During November of the same year she did the same with a rather unknown band, Larry Kent & His Orchestra. This time around, the name on the label read “Harriet Kaye” and as Harriet she made “One never knows, does one?” and “Who’s that knocking at my heart” with the Kent band. Her only recordings for the next three years was done as a favour to her friend Gene Krupa. To get his new band up and going, she lent her vocals to “One more dream” and “Feeling high and happy”, made in April of 1938. The early 1940’s had her back to recording again, and her two song-session in April 1940 with Joe Sullivan & His Cafe Society Orchestra produced a wonderful version of “I cover the waterfront” backed with “I’ve got a crush on you”. More than a year later she worked with Matty Malnecks band, and her best recording with them was a stunning “Hurry back to Sorrento”. Five days later, she did one song with Harry James, “Daddy”. Helen’s version is good, but it was perhaps done to greater effect by Julie London a decade later. 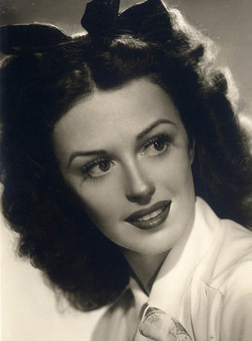 She did another one-song date with Teddy Wilson once again, and the July 1942 recording that produced “You’re my favorite memory” was the last she did for more than 10 years…. During the wars years and the rest of the 1940’s, Helen constantly worked but none of it was put onto records. She made some V-Discs (for radio play) with Red Norvo, and she also produced radio shows for the WMGM radio station during 1946-47. After that worked ended, she seems to have drifted into obscurity for a while. By 1953, Benny Goodman had put together a new band, and Helen was once again hired as their singer. She recorded 5 songs with this edition of the band in February and March 1953, producing gems like “”You’re a heavenly thing”, “I’ve got a feeling I’m falling” and a fabulous version of “What a little moonlight can do”. 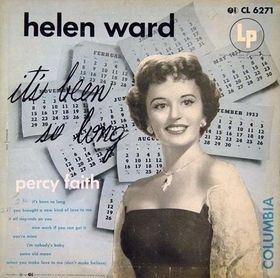 Then in July 1953, Helen made what was her first actual album “It’s Been So Long”. With Percy Faiths orchestra she created an album that still sounds fresh today – and putting to great use all her experience from the different bands. Helen sounds much more confident and mature than on her earlier records (although she was just 40 at the time). Expressing a wide range of emotion and feeling, Faiths music perfectly envelops her voice on tracks like “It’s been so long”, “You brought a new kind of love to me”, “I’m nobody’s baby” and “Same old moon (Same old sky)”. The whole original album has not been re-issued since the original release, but the songs from it are included in the collection pictured above. Helen's 1953 LP, a collectors item today! Four years later, in 1957 she recorded vocals on 4 tracks from Larry Clinton’s album “Larry Clinton in Hi Fi”, and all of them songs that Larry had done previously with Bea Wain in the 30’s. The songs are: “My reverie”, “Martha”, “Our love” and “Heart and soul”. Helen is vocally perfect, but it still seems strange to have her sing Bea’s old hits – especially since Bea Wain was very much active herself at that time (and still is today!) Helen then contributed to clarinetist Peanuts Hucko’s little-know album “With a little bit of swing”, also recorded 1957. By 1960, Helen retired from the music business completely. There were rumours circulating that she was writing her autobiography but no such book has ever been published. She did, however, turn up again in public in 1979 when she sang in a couple of clubs in New York, and from what I hear – still sounded and looked great! This renewed public interest in her resulted in her second album (28 years after her first!) and by doing so she made another chapter in a career most people had considered over & done with a long time ago. 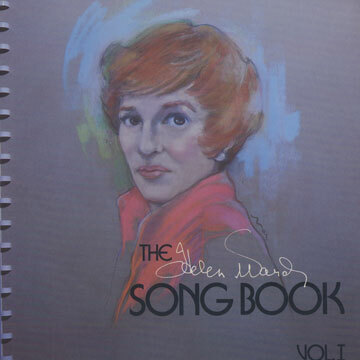 The album was called “The Helen Ward Songbook Vol. 1”, maybe signalling that she planned on making sequels? The original LP is incredibly rare, and I personally have never even seen a copy of it anywhere! At one point during the 1980’s, she moved to Arlington, Virginia and when she passed away in April 1998 many people were surprised to hear that the legendary band singer was still around. Her Virginia years seem to have been spent very privately, as she never gave interviews or made any public appearances. Helen Ward is still regarded as one of the first, truly classy girl singers to be featured with a big swing band, and luckily we have a lot of records that can show us just what she did to earn praise like that!